Manufacturer of a wide range of products which include Shell And Tube Heat Exchanger such as Shell And Tube Heat Exchangers, Finned Type Heat Exchangers, Finned Type Shell And Tube Heat Exchanger and Tube And Shell Heat Exchanger. We hold all the aces in designing and developing the best-in-class Tube And Shell Heat Exchanger. 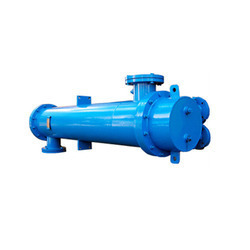 We are offering Shell And Tube Heat Exchanger to our clients. 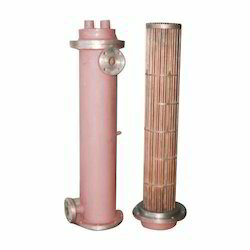 We are leading supplier of Finned Tube Heat Exchanger. These products are manufactured using high-grade raw-material and steel procured from the most trusted and reliable vendors in business. 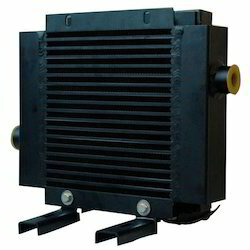 "Price may vary as per customer requirement"
We hold all the aces in designing and developing the best-in-class Finned Shell And Tube Heat Exchanger.